« Get a FREE Atkins Quick-Start Kit + 3 FREE Bars! I am sure you all have heard of Newman’s Own before as it is even in places like Mc Donalds. But did you know they now have another line of just organic products? I knew they had a few organic products but had never realized that they organic line is pretty big. Well Newman’s Own Organic was nice enough to send me a box full of goodies for me to try out and let you all know what I thought about it. I was picturing receiving a small box with maybe a few organic items, however I was pleasantly surprised with what all was in my box. They have organic items such as cookies, candy, licorice, mints, dried fruit and so much more including pet food! If you would like to see what products they have you can see them over on their site. I was thinking oh boy I bet these taste nothing like regular junk food. I was WORNG! These all had such an awesome flavor and did not taste at all like I thought they would. I mean I have tried some organic products before that taste like you are eating sawdust…lol. But the Newman’s Own Organic products are nothing like that. They are so rich and flavorful! I think some of my favorites that I tried would have to be the Hermits Cinnamon Soft Cookie, Dark Chocolate Peppermint Cups, Milk Chocolate Peanut Butter Cups, Double Chocolate Chip Cookies and the Peanut Creme Filled Chocolate Cookies. Now I am not saying all the others are not wonderful but just that these are my favorites out of them all. Even tho these are organic does not mean that they are reduced calories or that you can just set down and eat as much as you would like. Yes they are much more healthier for you then eating other candy and cookies, but you should still eat them in moderation. And yes I know that is something easier said then done, I am working on that one myself. Newman’s Own Organics was started as a division of Newman’s Own company in 1993. It then became a separate company in late 2001. Their products are certified organic by Oregon Tilth. The ingredients have been grown on farms that have not used artificial fertilizers or pesticides for three years or more. Would you like to try some Newman’s Own Organics for yourself to see how wonderful they are? Well here is a chance do try it FREE. 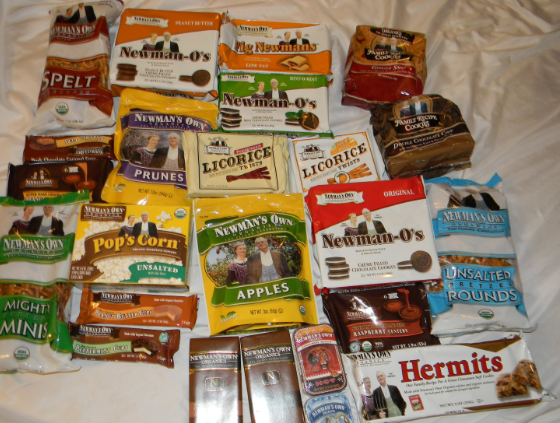 We are hosting a giveaway for four FREE Newman’s Own Organic Products. There will be one winner and they will receive one of each of these. This giveaway is open to the US only and you must be 18 years of age or older to enter. Void where prohibited. The giveaway will run from 5/20 – 5/31. Use the Rafflecopter to enter below. 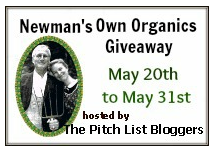 There are some other Newman Own Organic giveaways going on too so I have included links to those so you can head over and enter them as well. I would love to try the Newman’s Own Apples! The Newman-O’s look really good. Thanks for the giveaway and the opportunity! Newman’s Own Apples for me! 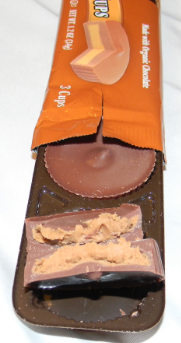 I would like to try the Milk Chocolate Peanut Butter Cups. Chocolate cups look great!! I have seen Newmans Own in the stores, but have not tried them yet. Thanks for the review, I will have to check their products out! I love, love, love Newman’s Own Organics. The chocolate cups are my favorite, especially the caramel. I’d like to try the salted pretzel rounds. Milk Chocolate Peanut Butter Cups! I’d love to try the Double Chocolate Chip cookies! I have really been wanting to try this brand! Thanks for the review! Now I want to try them even more! Wow! They do have a big line of products! Would love to try any of it! I would love to try the Dark Chocolate Peppermint Cups or the Cinnamon Hermit Cookies. I love the chocolate cups! I wish I could just label one chocolate cup as a favorite- but I love caramel, I love the peppermint and I loved the peanut butter! I adore hermit cookies, so I’d love to try Newman’s Own Organics Hermits. They have the best licorice it’s the best!! I want to try the chocolate cups and the mint cookies! mmm…now I’m hungry! I’d like to try the Fig Newmans. I’m really intrigued by the cinnamon soft cookie — I’ve had Newman’s crunchier cookies before, but not this style! I love peanut butter cups so I would definitely be tearing into those first! The Columbian Espcial coffee sounds wonderful. I’d like to try the chocolate peanut butter cups. I think the dark chocolate peppermint cups would be awesome! the Dark Chocolate peppermint cups! Double Chocolate Chip Cookies sound delicious! Mmmm….I’d love to try the Hermit’s Cinnamon Soft Cookies. They all sound yummy. Dark chocolate peppermint cups! Yum! I would love to try the Honey Wheat Mini Salted Thins. I would like to try the dried apples. Spelt Pretzels would be tasty! How about the dark chocolate peppermint cups! I’d most like to try the chocolate Alphabet Cookies. Thanks. I would LOVE to try the double chocolate chip cookies. I’d like to try the soft cinnamon cookies! The winner has been contacted and her name was Heidi.